We offer wide range of Calico Bags which is made by advanced techniques using with high grade raw material. Our calico bags are all enduring, eco-friendly, lasting and fashionable and easy to carry with innovative designs. Our products are good in rates as well domestic and international markets. To meet the specific requirements of our customers, we offer bulk of Calico Bags. Our products are manufactured using best quality Cotton by our experts and professionals. We offer products matching with the needs of our customers. Say no to the conventional plastic bag and replace it with a Calico Printed Bag. Calico is a plain-woven textile made from unbleached and often not fully processed cotton. Not only are they reusable and can last a long time but they are washable. 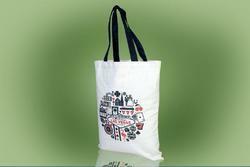 Calico bags are perfect for shopping and also to hand out at conferences, meetings, seminars or even to your customers. We offer the wide range of Calico Bags which is made by advanced techniques using the high-grade raw material. Our calico bags are all enduring, eco-friendly, lasting and fashionable and easy to carry with innovative designs. Our products are good in rates as well domestic and international markets. 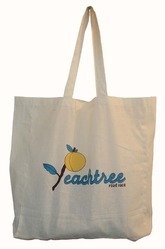 We are engaged in providing an exclusive variety of Reusable Calico Bags. The offered range of calico bags is known for its innovative patterns, durability, appealing looks and attractive color combination. Also, this range of calico bags is crafted utilizing premium grade fabrics, which is sourced from trustworthy vendors. These calico bags are available to our prestigious customers at market leading prices.